Amar Handicrafts in Banjara Hills, is one of the oldest furniture stores to make handmade, custom furniture that makes a space all the more charming. So, go here for distressed looking ornate furniture, all sorts of woodwork and carving. As you enter Amar Handicrafts in Banjara Hills, you will be able to spot freshly painted furniture. We found a green chair with a distressed look to a metal coloured sofa, that was left outside in the sun to dry. With attention to detail, the furniture has contemporary as well as old-school designs. Think carved garden furniture and old ornate sofa frames. Although the store deals with all kinds of wood, most orders are for teakwood which is used for both furniture and carvings. We are rooting for the statement chairs and seating here, but their wood carvings (made from rosewood/teakwood) are also worth a mention because you can use these as decorative wall hangings, picture frames, and mirror frames. Floral patterns, animal designs, faces, abstract work as well as metal painted carvings are just a few of the designs you can look forward to. 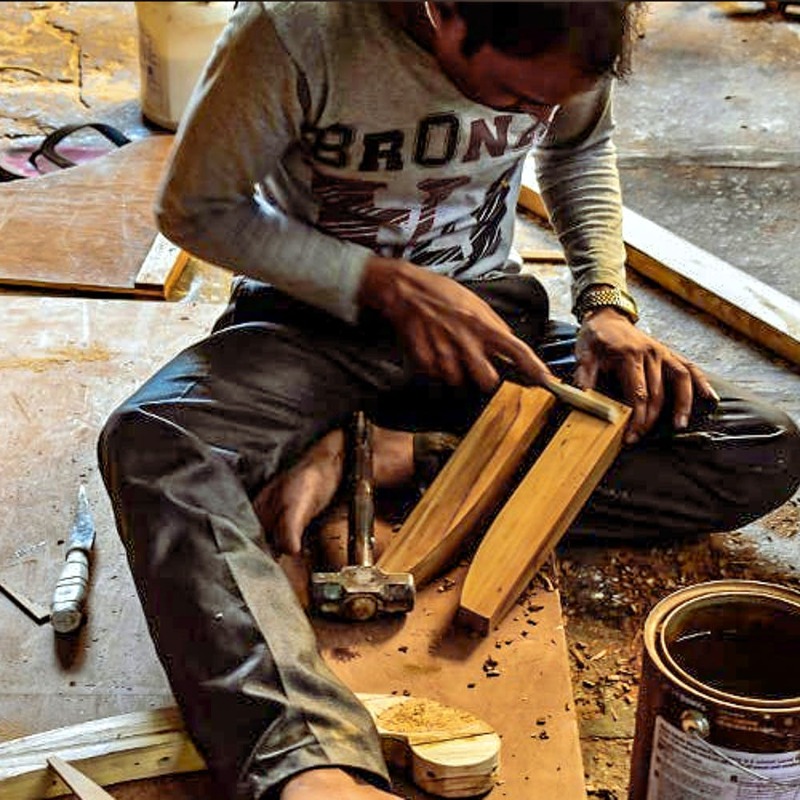 Amar Handicrafts takes up orders for commercial spaces like restaurants, hotels, cafes, and offices too, although they’ve been doing more of residential orders for a while now. The price range usually depends on the kind of wood used (teakwood is more expensive than the others), the design and the kind of furniture it is. However, the starting price is about INR 7,500 for a small chair. So, if you’ve been waiting to get a room-makeover with statement furniture that suits your theme and mood, check out this shop and discuss your ideas with them. From the kind of wood to the colour and the patterns you’re looking for, share it all and who knows you might end up with a unique piece that will make a perfectly personalised fit for your space.